A few weeks ago I accidentally came across this on christianbook.com then shared in on the Nerdy Language Majors FB group, asking Ross if it was what I thought it was… for days my phone was getting updates on the thread I started! Looks like I’m not the only one excited about this. Well, here is the article William Ross said he was working on about the project. Great way to start the day. I have been keeping a secret. Now it’s out. 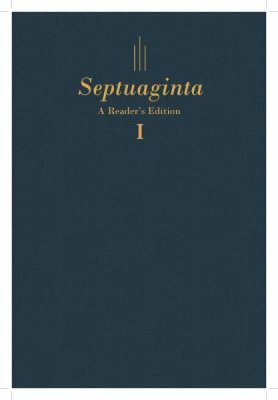 For the last several years, I have been working alongside Gregory R. Lanier (RTS Orlando) to produce a “reader’s edition” of the entire Septuagint. And finally, it’s (almost) finished. It’s been listed on ChristianBook and will be available in November. You are probably familiar with the idea of a reader’s edition, which over the past ten years or so has grown in popularity. Although there are others on the market, I think the reader’s edition of the Hebrew Bible and of the New Testament by Hendrickson Publishers are the best out there in terms of quality and readability. That is a big reason that we went with Hendrickson ourselves (although there are others) and I dare say they are doing a great job. Living in the world. Longing for the desert. Welcome to the website of Dr. J. P. Dyck, New Testament Greek teacher.